The game probability for the Super Bowl is up at the New York Times' Fifth Down. A boulder rolls down a hill and gains momentum. A spark sets a fire, and soon it has built into a blaze. The rains come and soon the river is rushing over its banks. Momentum is everywhere in nature, but applying it to abstractions like team win-loss records in a relatively small sample of football games is what I call voodoo analysis. Voodoo analysis is the application of apparently intuitive patterns beyond their natural settings. A football team is not a boulder rolling down a hill. It’s not a river bursting through a damn. It’s not a spreading fire. Our brains are continuously looking for patterns like these, and often see them even when they’re not there. That’s why we’re better off taking a disciplined look at the numbers from the full season. Here is your one-stop shop for all things advanced stats for SB 47. Team efficiency stats. Advanced team stats. Top individual performers from each team. 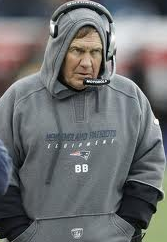 Initially, I was surprised Bill Belichick elected to punt last Sunday on a 4th-and-8 from Baltimore's 34-yard-line. Belichick's Patriots were up by six, and Belichick of all coaches should understand a six-point lead in today's NFL is far from safe. The decision was far from a no-brainer, as Keith sketched out last week. But those calculations use generic odds; Belichick had his staff's play calling and Tom Brady's arm on his side. As well as his defense had played in the first half, it was still the 29th-ranked squad by efficiency entering the game. Joe Flacco and the Ravens offense, although mediocre overall, showed an ability to pick up large plots of yardage in just a few plays. The difference between handing the Ravens the ball at their 34 or around their 10 (Baltimore fair caught the eventual punt at the 13) seemed worth risking for the Patriots in order to maintain possession. Of course, the Ravens proceeded to drive 87 yards as Joe Flacco dissected New England with a 13-play no-huddle masterpiece of a drive. Baltimore took a 14-13 lead and wouldn't relinquish it. Belichick is a risk-taker, indeed -- even if he softens up between now and his retirement (assuming whatever form he takes on this earth is subject to human aging), his famous decision to go for it on a 4th-and-2 in his own territory against Indianapolis in 2009 cemented that legacy. If Belichick wouldn't try in that situation -- one we suggest is a toss-up, slightly favoring a conversion attempt -- who would? Unsurprisingly, attempting to convert a 4th-and-8 between the 30 and 40 outside of the fourth quarter isn't just outside the limits of Belichick's courage. NFL teams faced the situation 15 times this season (including playoffs) before Belichick faced it last Sunday, and 15 times the teams kicked -- four punts and 11 field goals, with just six successful. 4th-and-8 happens to be a convenient example -- teams at least tried once on everything else from 4th-and-1 through 4th-and-11. But coaches shy away from attempting any fourth down longer than one yard, and anything longer than three is treated like the plague (looking at just the first three quarters to try and eliminate desperation attempts). Coaches tried for the first down over 75 percent of the time on 4th-and-1, but an extra yard scared away half those brave souls. For some reason, teams almost never attempted with between six and nine yards to go, but were more willing to risk the fourth down attempt (although I would suggest punting is a risk as well, as the Patriots found out) with 10 or 11 to go. What does clutch even mean? To me clutch means someone who has over-performed his typical expected level of performance in high-leverage situations. 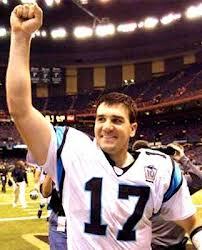 A great QB who plays equally well in clutch situations as he does in other situations isn't 'clutch' to me. But a guy who raises his game in high-leverage situations can be called clutch. The ability to over-perform in clutch situations as a persistent skill almost certainly does not exist. (More on this in a future post on year-to-year correlations in general performance levels and clutch performance levels.) But that's not to say that some players' better moments happened to have occurred when things mattered the most. Although clutch as a quality or skill does not exist, clutch as an event certainly does. Trying to define clutch is a tricky business. It's an arbitrary exercise with no one correct answer. Should we count situations where a team is down one score or two? With 5 minutes left to play? 4 minutes left? The final 10 minutes of a game? My solution is to compare a player's Expected Points Added (EPA) with his Win Probability Added (WPA). EPA measures total production without respect to time and score. In contrast, WPA is heavily weighted by game situation. Players whose WPA exceeds what we'd expect based on their EPA could be thought of as clutch, and players whose WPA is below what we'd expect could be considered anti-clutch. The Time Calculator is a tool that will estimate the time remaining in a game that a trailing defense can expect to get the ball back if they force a stop. It considers the current time and timeouts remaining while factoring in stoppage from the two minute warning and change of possession. 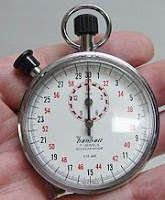 The previous version of the Time Calculator could only base its estimate beginning with the time of the first down snap of a series. For the vast majority of situations that's ok, because offenses will typically only run plays that avoid stopping the clock--runs that stay in bounds. But sometimes there is a stoppage, due to either an incomplete pass,a runner going out of bounds, penalty, or other reason. The old calculator could account for an unexpected stoppage if you add a notional timeout to the game state. For example, say the defense began the series with 1 timeout, then used it following 1st down, and there was an unexpected stoppage after second down. This scenario would be no different than if the defense began the series with 2 timeouts rather than their actual 1. Still, it would be easier and more straightforward to make the calculator work for any down. Now you can enter the time at the snap of any down in a series along with the number of timeouts remaining, and the calculator will estimate the time after the change of possession. All the other options remain the same: the average duration of each play, the game-clock duration between plays, and whether the defense would prefer to trade away some time on the clock to preserve a timeout for use on offense. Try it out. The Advanced NFL Stats Time Calculator. Game probabilities for the conference champtionship games are up at the New York Times' Fifth Down. This week I estimate the value of Colin Kaepernick over Alex Smith in terms of their effect on the probability of winning. Super Bowl 32 was a memorable one. A tight game featuring John Elway and Brett Favre would have made a memorable regular season game, but as a Super Bowl it was spectacular. To me the most interesting thing about the game was how the winning score happened. It was allowed intentionally. The game was tied at 24. The Broncos began a drive with 3:27 left to play. After a big Elway pass and several Terrell Davis runs, Denver put Green Bay in the Field Goal Choke Hold. 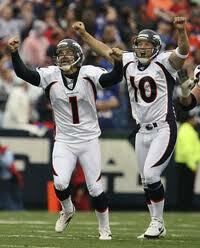 Eventually, Denver fought its way to a 1st and goal from the Green Bay 8. A holding call on Shannon Sharpe moved Denver back to 1st and goal from the 18. Another Davis run set up 2nd and goal from the 1 with just 1:47 to play. Rather than allow Denver to run down the clock any further, head coach Mike Holmgren elected to allow the TD on the next play to give his offense a better chance to respond with a TD of their own. In the wake of my previous five-part analysis of intentionally allowing a TD, I learned what the Internet jargon tl;dr stands for. I promise to make this one shorter. Previously, I looked at situations in which an offense that's trailing by 1 or 2 points could run out the clock before kicking a field goal to win. In many cases, depending on the time, score, field position, and number of timeouts remaining, it makes sense for the defense to allow a TD rather than try to force a stop and a FG attempt. This time I'll examine similar situations where the score is tied. The considerations are a little different than when the defense has a 1 or 2 point lead. A tie score means that the defense can't be relatively assured of a win in the event of a miss. 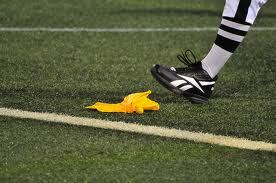 And given a successful FG to break a tie, a FG in response only re-ties the game. Pete Carroll is getting a lot of grief today about going for it on 4th and 1 from the ATL 11 in the 2nd qtr. It was the slam-dunk right call, which I'll explain below. But worse, much of the criticism is completely misguided. I would, however, knock SEA for the play call. I keep reading and hearing about how the failed 4th down attempt 'came back to bite Seattle' or that the decision cost 3 points in a game decided by 2. First of all, that's complete outcome bias. Expunge that kind of thinking from your head. Had SEA converted, the same people who are now critical would be praising Carroll for his courage. Second, you can't simply append 3 extra points onto the final score and say that would have changed the outcome. You never know how the game may have unfolded had Carroll decided on the FG attempt. Both teams would have played at different risk levels and at different paces had the score been different, particularly in the endgame. I've refrained from the cookie-cutter 'should have gone for it, coach' posts this season for fear of becoming a one-trick pony. (Especially now that everyone can do the same thing himself with the 4th Down Calculator.) But this was a critical call in an important game, so I'll indulge. Here are the numbers on the 4th down itself. Remember, results are based on league average baseline numbers. It was 4th and 1 on the ATL 11 with 5:38 in the 2nd qtr. ATL was up 13-0. A dissection of John Fox's series of conservative decisions during Saturday's playoff game between the Broncos and Ravens.Did his decisions make the decisive difference in the game? With the barn-burner in Denver still echoing in our minds, not to mention the SEA-ATL double comeback, I thought it would interesting to see where it stacks up against other games this year. Measuring how 'good' a game isn't science. Everyone has their own interpretation of how entertaining a game is. The 'Best Games' tool on the site is one of the hidden treasures of ANS (in my opinion). For instance, it tells us that the BAL-DEN game ranks as the 5th most exciting game of the entire season. It's also the most exciting game for the both the Broncos and the Ravens in the database (since 2000). And with a CBF of 50, the game ranks behind just 7 games this season with an even more improbable outcome. 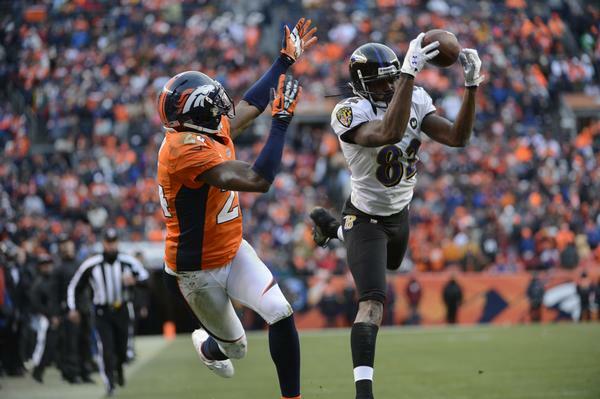 The Broncos were heavy favorites at home against the Ravens on Saturday. Peyton Manning and company had won 11-straight and were the favorite to take home the Lombardi trophy. Ray Lewis and Mr. Elite himself, Joe Flacco, had other ideas in mind. Despite being up a touchdown with the ball, having Peyton Manning on the field, and the Ravens out of timeouts at the two-minute warning, the Broncos gave the Ravens back the ball. Rahim Moore undercut a floater worse than any NFL safety should and Jacoby Jones walked into the end zone to tie the game. In a tie game, the Broncos started their final drive on their own 20 with 0:31 seconds remaining and two timeouts in hand. John Fox says, "Let's take it to overtime" and has potentially the greatest quarterback ever kneel down instead of trying for the game-winning field goal. 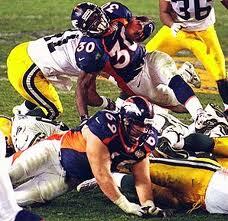 That wasn't the first time the Broncos made this mistake. In fact, they made an eerily similar gaffe at the end of the first half. After missing a field goal and allowing a long Torrey Smith touchdown, the Broncos received the ball at the 20 with 0:36 seconds left and three timeouts. 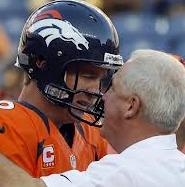 John Fox ran the ball one time and headed to the locker room. The only real explanation is that Fox believes momentum has predictive power. His thought process was probably that after two huge plays from Baltimore, the only thing that could come from an attempted 30-second drive is a game-changing mistake. Game probabilities for the divisional games are up at the New York Times' Fifth Down. 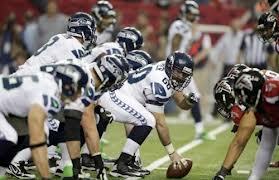 This week I break down the Seattle-Atlanta game. It should be a close one. Last season I looked at the effect of temperature on field goal success and saw that a 30-degree difference is approximately worth 5 yards of kick distance. A 40-yard attempt in 30 degree weather is like a 45-yard attempt in 60 degree weather. Much of the effect can be attributed to the increased air density in colder air. But what about altitude? How does the thin air of Denver's Mile High Stadium affect field goal success? When it comes to altitude, there's Denver's 5,200 feet and then there's everywhere else. Phoenix is the next highest at about 2,000 feet, but it's almost twice as close to the sea level as it is to Denver. To compare apples to apples as much as we can, I compared Denver's FG success with that at other outdoor stadia. I excluded Arizona for the purposes of the comparison, and only included kicks in moderate temperatures from 41 to 80 degrees. I noticed an interesting thing about the eight remaining teams in the playoffs. They are currently the eight and only eight teams that are in the upper-right quadrant of the Team EPA visualization (on the main page or full viz here.) This means they are the only eight teams to have both an above average defense and offense for the season to date. The Colts, Bengals, Vikings, and Redskins were below average in one category or the other. I'm never quite sure what decision-making trends to expect out of the NFL playoffs. It seems any decision can be justified by the playoffs. "It's the playoffs," one of the exalted keepers of the true knowledge can say. "You have to leave it all on the line," he says as the coach keeps the offense on the field for a fourth and goal. But, he could just as easily say, "You don't have a choice here. You have to live to fight another day." The field goal team trots out for a 20-yard chip shot instead. The field goal teams were out in force for Wild Card Weekend. Presented with 27 fourth downs inside the opponent's 40 yard line, teams kicked 17 field goals, punted twice, and went for it just eight times. Of the 17 field goal attempts, only eight were the optimal win expectancy choice according to the 4th down calculator. All told, coaches left 0.24 of win expectancy and 6.3 expected points on the table with these decisions. 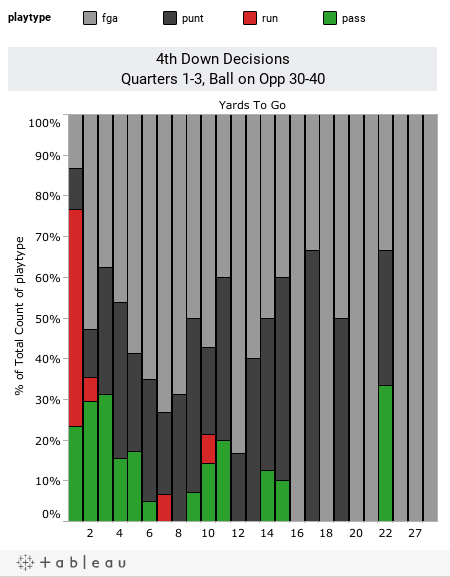 Overall, teams saw 66 fourth down plays and made the optimal decision 49 times. Only one of the 11 decisions to go for it was suboptimal (by Washington when they were already down by 10 late in the game) and seven of the 33 punts were as well. The biggest whiffs were typically in field goal situations, but to the coaches' credit, the kickers were sharp: they combined to convert 16 of the 17 field goals on the week. Still, there were a few calls worth questioning even given the true kicks. After making a borderline call to go for it on fourth-and-5 from the 34 -- probably the right call given the unreliability of Mason Crosby this season -- and succeeding, the Packers kicked on a fourth-and-goal from the one yard line with 3:25 to go in the 2nd quarter. The Seahawks, up by seven against the Redskins, chose to kick on fourth-and-goal from the 4 with 5:32 to go in the game. Game probabilities for the wildcard games are up at the New York Times' Fifth Down. This week I examine the whether the Colts' are as good as their record suggests. There are a few sore thumbs every year in the rankings. A few weeks ago I wrote about how the then 2-8 Panthers were much better than their record indicated. Since then, they went 5-1 to finish 7-9. Do I think CAR is really the 4th best team in the league? No. But they were the 4th most efficient on offense and defense in 2012. It might seem like I'm cherry picking the model's 'hits' and ignoring its 'misses.' I'm obviously not pointing out how the model ranked PHI 2nd in its first iteration after week 3. Oops, I guess I just did. But it's not week 3 anymore, and we have a lot more information now. There is one more sore thumb to be addressed. That's the 11-5 Colts, who are ranked 24th in efficiency. Their Generic Winning Probability (GWP) is 0.44, which if correct would make an 11-win record highly unlikely. It's very possibly they're better than 24th, but notice that their opponent average GWP is 0.46, so despite a low efficiency ranking, we should not be too surprised to see IND end up its winning record. The link is here. Happy crunching. As has become tradition here at ANS, I'll look back at the year and round up all the best articles. (Here are the best of 2009, 2010, and 2011.) This annual post is as much for me as it is for readers for a couple reasons. First, I get to gaze upon the results of all the hard work myself, Keith, Jack, and other contributors have done. And second, it's a handy way to collect all the quality posts from the year in one place. Each year I think it's finally the year that the site has peaked and all the low hanging statistical fruit has been plucked. But somehow things keep going strong. Jack and Keith provided lots of great game and player analysis plus some original research of their own. There were also some cool new features added to the site. Keep in mind, these are just a fraction of the 200 posts from 2012. Starting with last January, Keith applied his Markov model to look at the drive that broke the Jets' 2011 backs. 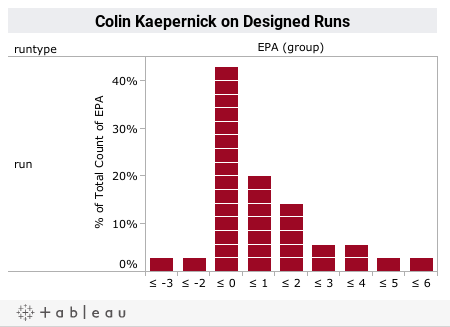 I introduced two new features of the player stat visualizations--the QB career totals for EPA and WPA. The visualizations are a clever way to compare careers. The "Nth Best EPA" graph plots each QB's career in order of his best through worst seasons. 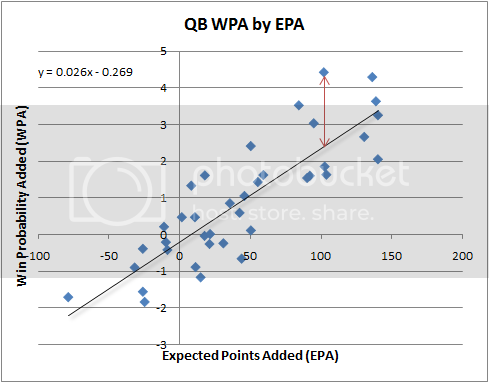 The "Career WPA" graph plots each QB's cumulative WPA through each year of his career. These are a couple of my favorite new features at the site. My contributions with Slate and Deadspin continued through the 2012 season. Here is a post that looked at some critical 4th down decisions in last year's playoffs and put the 4th down itself in perspective. Jack is the king of the Tableau visualizations. Here is his analysis of how HOU beat CIN in last year's wildcard round. This article was the culmination of a lot of research and analysis. Using EPA and WPA, I estimated the price of a win in terms of salary cap hit. This became a framework for evaluating contract values, and the article uses Drew Brees' recent contract as a case study. The 'Dome at Cold' effect is well known to ANS readers. Here's a slightly more in-depth look at the climate phenomenon and how various types of road teams fare by temperature. Here are several more articles on how weather, including temperature and wind, affects passing, running, and field goals.